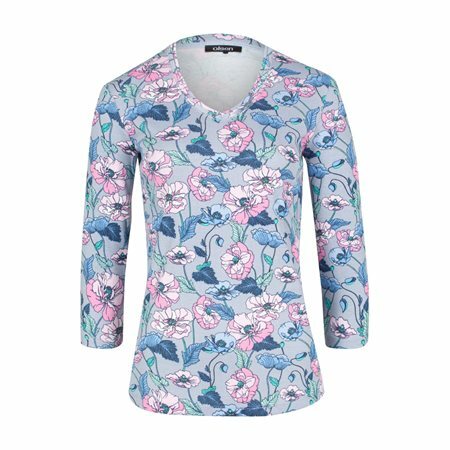 This t-shirt with sleeves in 3/4 length features a beautiful flower print - first thoughts of spring come up, thanks to its stylish color composition. Made of cotton and in narrow Olsen fit Edda it can be combined wonderfully and lies comfortably on the skin. A nice detail is the double panel at the neck of the V-neck. This is additionally decorated with a discreetly shimmering lurex thread.